For many of us, one of the most important parts of choosing frames is dialing in the ideal color. We can choose a darker color to remain business professional or we can be fun and funky with a bold frame. From austere neutrals to popping solids, we offer a breadth of colors for eyeglass frames. Check some out below. A go-to choice for many, black is a professional shade that works well with any style. A particularly popular choice for the geek chic eyewear movement, black is also a classic color that can help rock both a retro and fashion forward style. Though technically a neutral color, white does everything but blend in. Bright and lively, white is a summer color that goes with just about every style while still maintaining a relatively professional appearance. A bold choice, this is a particularly popular frame color for anyone looking to make a statement. Reds are excellent eyeglass frame colors for people with warm skin tones. Bold red is a breathtaking color that is popular in retro frame styles because of its intense and fierce hue. Darker reds can be good choices for more professional settings. 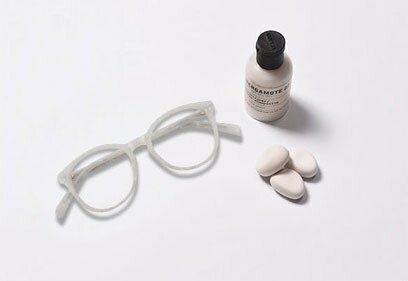 A more non-traditional eyewear option, green is a frame color commonly seen among creatives. A particularly good choice for people with warmer skin tones, green is a great color for autumn seasons. Peaceful and professional, different shades of blue work well for nearly anyone. This is an excellent choice for both men and women in professional and casual settings alike. A great neutral choice, browns can work with any skin tone provided they have the right undertone. Particularly common for retro and classic styles, brown hues are a good choice for professional settings. 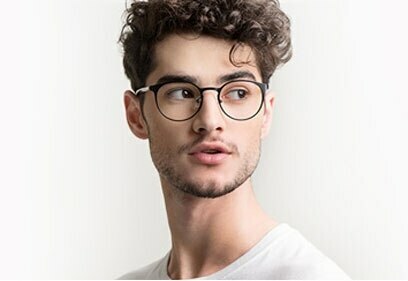 Colorless or with a very faint tint, clear frames are almost invisible when you are looking at them from a distance, but add a hint of class to your look up-close. They add a touch of modern style to any wardrobe. Sophisticated and perfect for anyone to try, tortoise frames are a must have for your collection. Suited for anyone looking to go from an intellectual conversation to a casual dinner, tortoise frames are a great go-to during fall months for their brown and black undertones. Embrace the cutting edge of fashion with these trendy grey frames. Whether you’re searching for a sleek urban look or a professional accessory, our collection of grey eyeglasses won’t disappoint. Shine bright like the sun. These chic yellow frames will bring your everyday outfits a whole new flavor of unique. Get festive with the most playful and stylish orange frames. From darker citrus tones to energetic orange hues, our collection has it all. Think pink! Our collection of pink frames has it all, from elegant pale tones to more playful bright pink shades. When it comes to making a statement, these unique frames are the very first step. Our collection of purple eyeglasses go beyond fashionable. These Mysterious violet hues and playful magenta tones are guaranteed hits. Explore the boundaries of eyewear fashion with striped eyeglasses. This collection features frames of all types, from those with subtle granite stripes to completely dual-tone styles. Blooming florals and entrancing petals make this collection irresistible to the eye. These frames stand out with their nature-inspired patterns and colors. The quintessential retro color. These silver frames include styles from almost every era of eyewear fashion, from vintage aviators to cutting edge Titanium glasses. Bronze colored frames can inspire a sense of wisdom and maturity in the wearer. If you’re searching for a down-to-earth aesthetic, look no further.